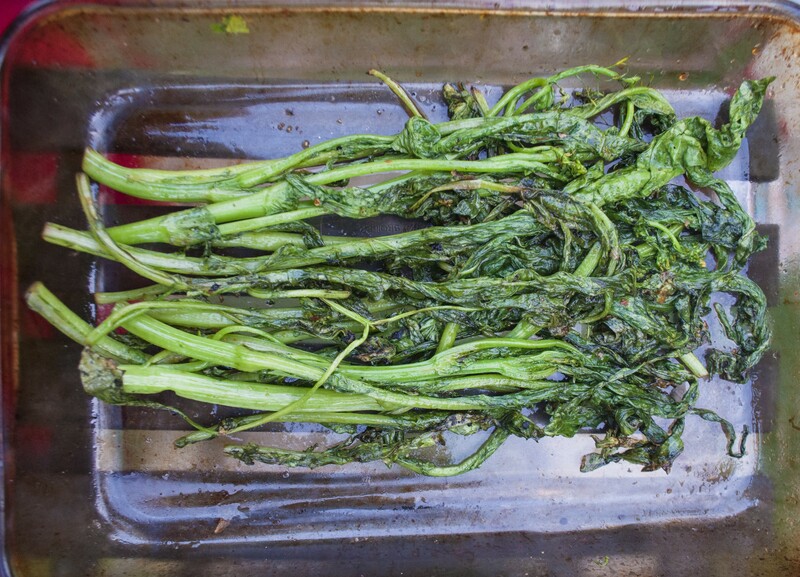 Last week’s recipe grilled a rack of lamb, and I can think of few finer accompaniments to that dish (or any fire-roasted meat) than grilled broccoli rabe — at this time of year, why bother working in the kitchen if you don’t have to? One recent Thursday, fate found me in Plattsburgh reporting a story for this week's Adirondack Issue. 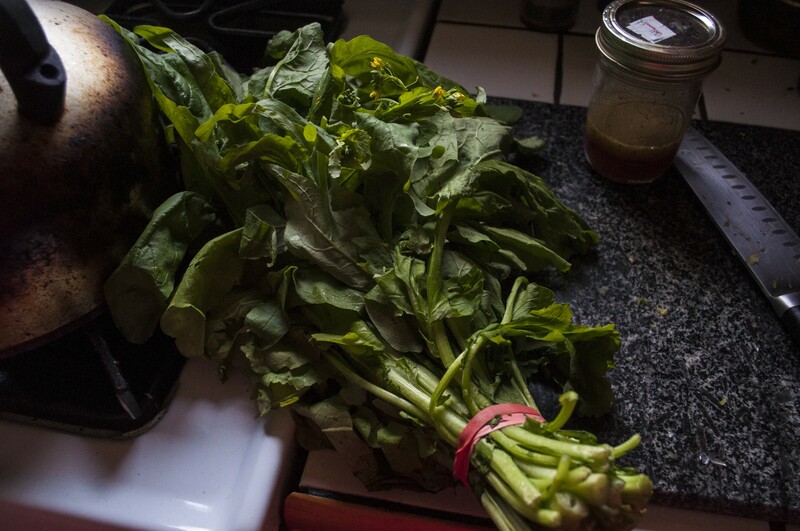 I stumbled into a farmers market, where the friendly folks from Fledgling Crow Vegetables in Keeseville had tubs and tubs of gorgeous greens and one chock-full of some of the finest broccoli rabe I’ve ever seen. But instead of giving it the usual sauté treatment, I threw it on the grill. It was so good, I’d be surprised if I ever cook this beautiful bitter green another way again. Light the grill and heat to about 400 degrees. Wash greens and place in a flat tray or baking pan. Sprinkle them with oil, tamari and vinegar, turning greens with tongs until the liquids are distributed throughout. Once your grill is hot, place greens on grill, laying cross-wise against the grill-top so they don’t fall through. Close the grill and cook for 2-3 minutes, then turn greens with tongs and cook another 2-3 minutes. Check to see if the stems are cooked to desired firmness; if not, turn again and cook another 2-3 minutes. The whole process shouldn’t take more than 10 minutes or the leafy ends will char. Return to the flat-bottomed tray/pan and serve immediately or at room temperature.